Print Alice in Wonderland free coloring for your creative kids. Let them use any color they like. 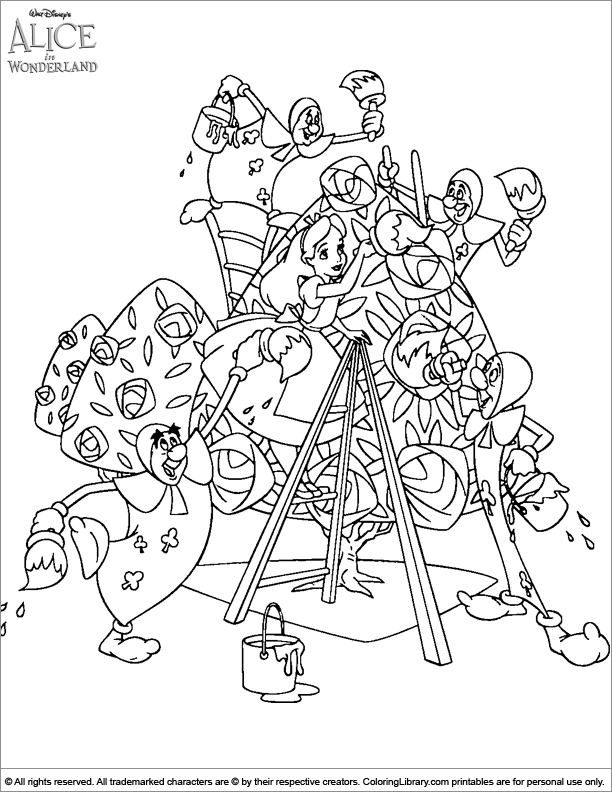 This Alice in Wonderland coloring page is great for decorating the fridge. It's impossible for kids to get bored with all the Alice in Wonderland coloring pages in the gallery.